Leading economists Professors Ronald MacDonald and Paul Hallwood are calling for an end to the Barnett Formula and a move to Scottish fiscal autonomy. In their new book, The Political Economy of Financing the Scottish Government: Considering a New Constitutional Settlement for Scotland, they consider a number of alternatives to the current system, including the Calman proposal, and find all systems short of fiscal autonomy lacking. 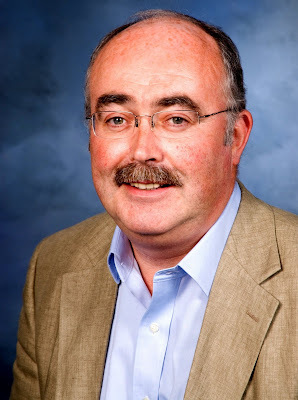 Professor Ronald MacDonald, Adam Smith Professor at Glasgow University (pictured above) said: “The current fiscal settlement for Scotland is no longer politically tenable, nor is it economically defensible. We consider a number of alternatives to the Barnett formula, and our analysis shows that proposals like those from the Calman Commission are merely tinkering with the current system and will fail. Professor Paul Hallwood, Professor of Economics at the University of Connecticut, said: “Since the 1970s, Scotland has had a credible threat to leave the ‘command and control’ system currently operating in the UK. Tax devolution has the great advantage of making those at Holyrood who spend taxes also bear the political cost of raising those taxes. This basic idea of fiscal accountability goes back to the works of Adam Smith himself. Whether looked at from the English or Scottish perspective, tax devolution is the logical answer to ongoing debates about budgets and bloc grants. The authors conclude that irrespective of political questions about the constitution, fiscal autonomy, which can be designed for Scotland within the UK political union or for an independent Scotland, offers a much sharper and clearer incentive mechanism – for both the private sector and the elected representatives in Edinburgh – than either the status quo or lesser forms of fiscal federalism. Paul Hallwood is Professor of Economics at the University of Connecticut where his research interests include the fields of economic integration – from both historical and policy orientated perspectives, the economics of business organisation, and ocean policy. He acted for several years as a consultant to a major oil exporting country and previously worked at the University of Aberdeen. He and MacDonald are joint authors of a leading advanced textbook on international finance. Ronald MacDonald is the Adam Smith Professor of Political Economy University of Glasgow. He has published widely in the areas of Macroeconomics and International Finance. He has been a consultant to a number of central banks, financial institutions and the International Monetary Fund and has advised governments on macroeconomic policy. Since the creation of the Research papers in Economics (REPEC) world ranking of Economists, he has consistently appeared in the top five per cent of this poll, one of only three economists based in Scotland to achieve this ranking. There are currently 593 Ayrshire business stories permanently archived on this site. To locate those of most interest to you, please use the site search facility in the top left hand corner of this page. Type your search term in the white box, then click “SEARCH BLOG”.